I was walking down the road, and I saw a donkey … hee-haw! And he only had three legs. 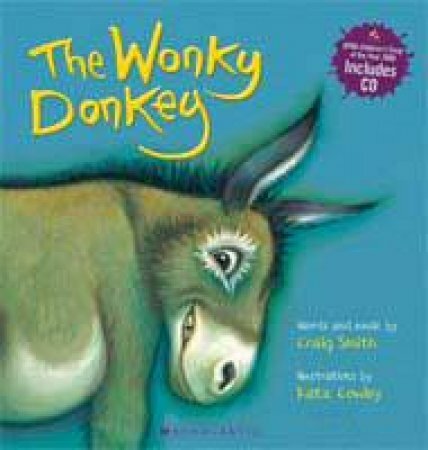 In this very funny, cumulative song, each page tells us something new about the donkey until we end up with a spunky, hanky-panky cranky stinky dinky lanky honky-tonky winky wonky donkey, which will have children in fits of laughter! There is much fun to be had by listening to the song and trying to predict the new word for each clue given!